When I started collecting art I did not know where my love for art would take me. What would I collect? Who would I collect? As I have enlarged my collection, I have encountered art from across the globe by artists that I will never meet. But their art has touched me and in so doing I wish to pass on (to what extent I can) my love of their work. From the distant past to the modern day, from east to west – art takes me to places which never existed or to places and times which I may yet get to see. Today to Iran. Iran is a country much in the news and not always favourably. But today I give you an artist who possess an unique vision and the ability to express that vision. It lies in the experience of the artist as a man about town, who opens his studio to visitors, who shares in conversation about art and poetry, literature and life, and portrays this vision for all the world to see. Such was #SumbatDerKiureghian (1913-1999). A modest studio on Shaharbat street in #Isfahan was his place of work. The use of watercolour in painting was fairly uncommon in Iran but it was Kiureghian’s choice of medium. Living and working predominately in Isfahan, Kiureghian found his inspiration from his surroundings – from landscapes to still life, images of Armenia and Persia, to scenes of local culture and society. Kiureghian would disappear into the local countryside for weeks to paint and sketch and return to his studio re-animated, re-inspired by what he had experienced. Sumbat painted what he saw, in the part of the world that he loved, Iran, and specifically Isfahan. 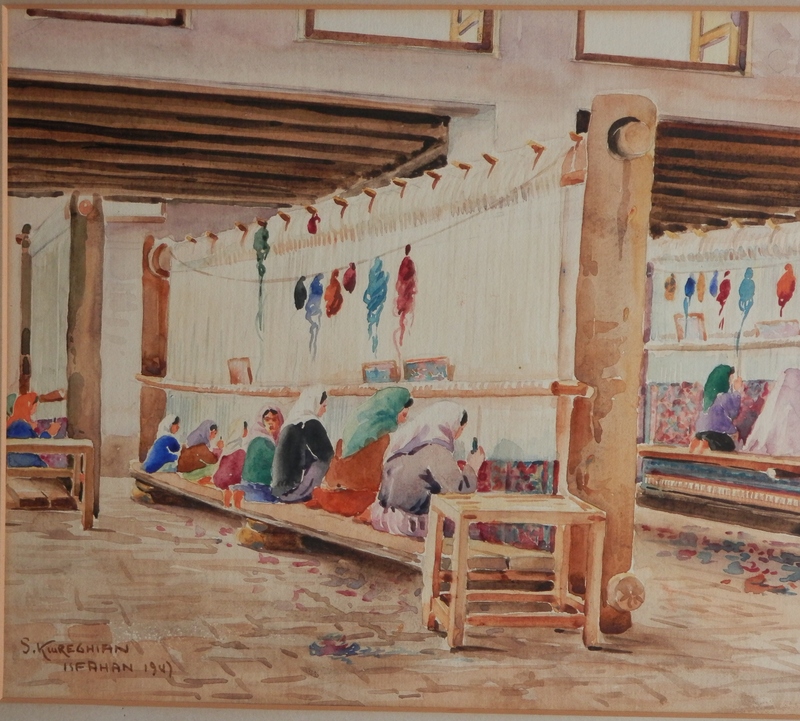 This entry was posted in Watercolour paintings and tagged carpet weaving, desert, Iran, Isfahan, Persian carpet, temple, weavers. Bookmark the permalink. 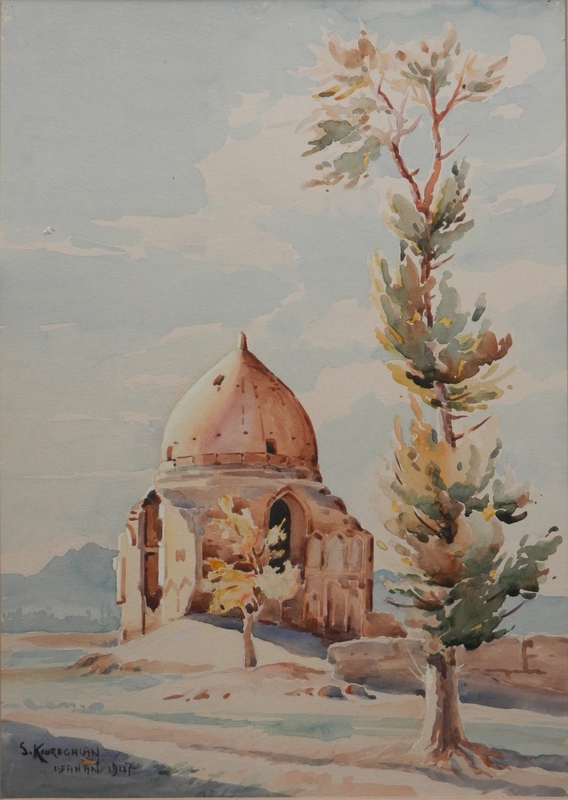 I loved the painting “A Holy Place” by watercolorist Sumbat Der Kiureghian. Is it by any chance for sale?